Keith Fowlkes has been a leader in higher education technology for over 25 years. Keith is currently Vice President for E&I Technology Contracts for E&I Cooperative Services in Jericho, New York, the largest non-profit buying consortium for higher education in the U.S. He is a veteran higher education chief information officer and consultant and is co-founder of the Higher Education Systems & Services Consortium (HESS Consortium), a consortium focused on and cloud-based systems (ERP, LMS, CRM, etc.) collaboration and purchasing for private, non-profit institutions. 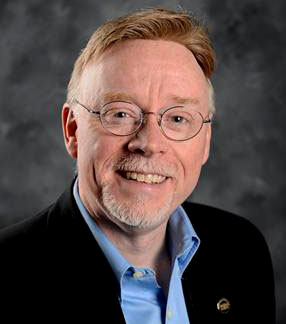 Keith is also a frequent industry speaker and contributing author for several technology-related national publications as a thought leader in technology operations, collaboration and sourcing in higher education. Keith’s professional industry blog can be found at www.keithfowlkes.com. E&I Cooperatives’ competitive contracts are already used in over 4,500 public and private institutions across the U.S. Now leading the E&I Cooperatives’ Technology Contracts area, Keith is developing new strategies with technology leaders in public and private institutions to help them save time and money in strategic sourcing, contract development and institutional collaboration. He continues to help lead the Higher Education Systems and Services Consortium (HESS) as a board member and their Executive Director, helping them collaborate on contracts and services. Keith is also a frequent speaker and a writer for several technology-related national publications as a thought leader in technology collaboration and sourcing in higher education. He holds a B.S. in Business from the University of Tennessee at Martin, a Masters in Information Management and an M.B.A. in Economics and Finance from Webster University in St. Louis, MO.